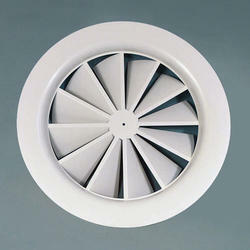 - Ceiling diffuser used for air supply and return, fixed blades. - Front panel and plenum box - square. - Central screw fixing system as standard through diffuser front plate to plenum box. 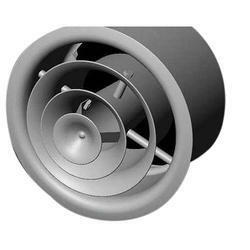 Trisal TSD-AL Series Swril Diffuser is formed out of high grade Alumium sheets. TSD-AL Series Swirl Diffuser is a Single piece die-formed product with no joints and provides very pleasing aesthetics where interior designs require and unconventional look combined with High performance. Our clients can avail Swirl Diffusers, that is manufactured by our team of experienced professionals utilizing quality aluminum sheets. These meet the requirements of ceiling mounting in varied industries. Apart from the standard options, these are also available in customized forms to meet the distinct requirements of our clients. Add extra spark in your venue by hanging these awesome Spiderman swirls. Use with Spiderman Theme or as individual.